The images I created at this time were very fluid, in an attempt to blend my approach to drawing with the print medium. I enjoyed the viscosity printing process as a means to explore colour. 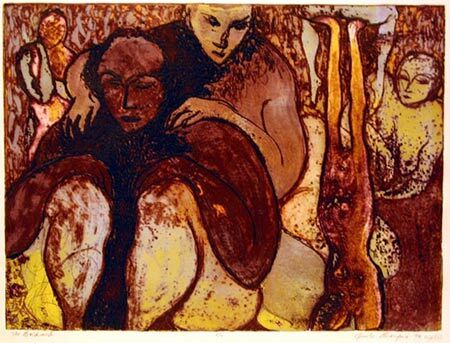 There was also a strong element of the 'happy accident', and printing unique monoprints, which interested me at the time. On a personal note, the content of this piece stems from family roots; and the tension between caring for oneself and others.